DETROIT -- Audi is denying a German media report that parent Volkswagen Group has picked Mexico to build the premium brand's new North American factory. Volkswagen's supervisory board has yet to make a decision on the factory's location or which model it will build there, Audi spokesman Brad Stertz said. "It still going to come down to discussion on the board level," Stertz said. VW's supervisory board will have its next meeting on April 18, he added. 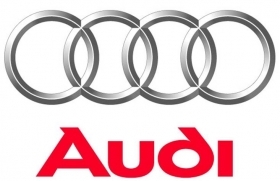 German magazine Der Spiegel reported on Friday, citing no sources, that Audi has won backing from parent Volkswagen to build the new factory in Mexico for production of the Q5 sport-utility vehicle from 2015. The magazine said the supervisory board plans to ratify the plans at the April 18 meeting. VW originally wanted to expand its U.S. factory in Chattanooga, Tennessee, which was only opened a year ago, to make room for production of Audi vehicles. VW builds one model in Chattanooga, the mid-sized Passat. Audi officials have repeatedly said this year that they plan to make the final decision on production in North America by this summer. Locations in Mexico and the United States are in the running. VW currently builds the Jetta and Beetle at its plant in Puebla, Mexico, and will open an engine plant in Silao, Mexico, in 2013. Michael Macht, VW's head of manufacturing, told Automotive News in February that it would take two and half years to start production at the factory once the decision is made. The decision on where to put the factory also is closely linked to the company's desire to bring another Volkswagen SUV, larger than the Tiguan, to the United States, Macht said. Both countries have pluses and minuses, he added. Mexico is exempt from import duties, meaning VW can avoid a 10 percent duty on cars build in the United States and shipped to Europe. But the "Made in the U.S.A" label also is an important statement for the carmaker and there is room to expand at the Chattanooga factory, Macht said.